Ah, reading challenges. I appear to have a bit of a love/hate relationship with them, and yet I can't seem to quit joining them. The name "challenge" is of course somewhat of a misnomer - the goal isn't so much to challenge ourselves as it is to do some themed reading along with other book lovers. And likewise, what makes challenges fun is that the emphasis isn't so much in the accomplishment as it is in the experience. In 2009, I didn't complete some of the challenges I'd joined - this for the first time in three years of joining them. Oddly enough, I'm actually a little proud of this fact, since it means that I've finally internalized the fact that there is no challenge police. The challenges I failed to finish in 2009 were: The Dream King Challenge (ha! A challenge devoted to my favourite author and I failed it. Booo. ); What's in a Name II (I'm so sorry, Annie! ); My challenge with Rhinoa (I feel awful, because the one book I failed to read - Moon Called by Patricia Briggs - was the book Rhinoa was kind enough to send me as a gift. I'll read it in January, though. Promise. ); the TBR Lite Challenge (ironically enough, in a year when I was supposed to be climbing Mount TBR. The pre-made and unchangeable list was my undoing. ); and the Support Your Local Library Challenge (I read 11 library books when I was supposed to have read 12). Ah well. Better luck next year. Without further ado, these are the challenges I'm joining in 2010. Believe it or not, I actually used some self-restraint and refrained from joining several challenges that were calling to me. For now. These, though, suited my reading interests so well that they were impossible to resist. First of all, there's the Graphic Novels Challenge that I'm co-hosting with Chris this year. I had to at least join my own challenge, no? I'm going to aim for the expert level and read at least 10 graphic novels this year. I don't think that finishing this one will prove very challenging. 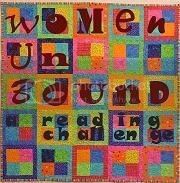 Next there's the Women Unbound Challenge, which started back in November and about which I posted before. So this time I'll just say I'll go for the Bluestocking Level and read 5 books, at least two of which will be non-fiction. No list ahead of time - for all these challenges, my only rule will be to pick books from my tbr whenever possible, rather than books I don't own. For Amanda's glbtq Challenge, I picked the Lambda Level, which requires me to read 4 books. Yes, I'm picking the lowest level for all these challenges - I don't want to overcommit. I'll probably end up reading more anyway, since one of my goals for 2010 is to add diversity to my reading. Again, I'll be focusing on my tbr pile, where enticing books by Sarah Waters, Alison Bechdel and Julie Anne Peters await me. There's also Orlando by Virginia Woolf, which goes very nicely with the beautiful button and which I'm planing to read for Woolf in Winter anyway. The Cashier at Ankh-Morpork Mint level of Marg's Terry Pratchett Challenge requires me to read 1 to 3 books by my other favourite author in 2010. Let us hope this goes better than the Dream King challenge. Aarti and Kristen's Flashback Challenge is going to encourage me to be a good bookworm and re-read at least 3 books next year. I want one of them to be Good Omens by Terry Pratchett and Neil Gaiman, and we'll see about the rest. The Science Book Challenge requires me to read 3 science books in 2010. I have Parasite Rex by Carl Zimmerman and The Canon by Natalie Angier in my tbr pile and can't wait to get to them. We'll see that the third book will be. 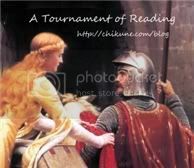 The goal of Meghan's A Tournament of Reading is to read books from, about, or set in the Middle Ages. The minimum requirement is to be a Peasant and read three books, which sounds perfectly doable. A Morbid Taste for Bones and Mistress of the Art of Death, here I come. Rhinoa's Manga Challenge is returning in 2010, and once again participants are asked to read at least 6 Manga books. This will give me a chance to finish the Death Note series, and also start After School Nightmare, which I've had my eye on for a while. Or maybe read something else altogether. Finally, Amanda's Our Mutual Read is a Victorian Challenge. Let me repeat that - a Victorian challenge. Was there any chance at all I wouldn't join? I'm going to be read least 5 Victorian books - two of which have to be real Victorian, as opposed to pseudo-Victorian or about the Victorians. This works out nicely because I can read all the neo-Victoriana in my tbr pile, and get the real Victoriana from Project Gutenberg. I could read more Wilkie Collins, Elizabeth Gaskell or Mary Elizabeth Braddon. Or I could be brave and venture beyond Dicken's Christmas books and ghost stories, or even read Middlemarch at last. We'll see. Last but not least, something that is not-quite-a-challenge: I'll be joining Kailana and some other bloggers and reading Madeleine L'Engle's Time Quintet in 2010. 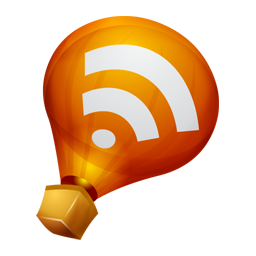 ETA: I almost forget! Rhinoa and I are swapping reading lists again this year, and since I didn't get around to Moon Called, that will be on my list for 2010. The other two books she picked for me were Camelot's Shadow by Sarah Zettel and Uglies by Scott Westerfeld, both of which sound right up my alley. What about you? Are you joining any challenges in 2010? Why or why not? I simply adored your whole first paragraph...it's sort of silly, but I think it sort of took us all a long time to internalize those thoughts despite sort of knowing it all along. You picked some awesome challenges to join this year...don't you always though?!! I'm sort of shocked at how few I've joined, because there really are soooooo many awesome ones out there. Perhaps I have more willpower than I tend to give myself credit for. Anyway, I do hope you enjoy each and every one them!!! I've been committing to the lowest level, or near the lowest level, on the majority of challenges I signed up for this year. That allowed me to join more than I would have normally, and gives me some good diversity. Thanks for joining me with the GLBT challenge! It makes me so happy to see how many people have joined (nearly 80 now!!!). Good luck, and cheers to 2010! Oh no...no no no. *shakes head* I was not going to join any challenges, but I am hoping to re-read several books this year, so I could technically join the re-reading challenge, even though I already told Aarti I wasn't...and another goal is to read some Victorian novels, and now you tell me there is a challenge for that as well? Oh no. And you're sure there's no challenge police? Like you I've signed up for the lowest level in most challenges (the exception being Women Unbound I think) because I would rather read more and upgrade. I've also tried to use books that I can use for more than one challenge. I am really looking forward to 2010 starting so I can dig in to all these great books I have thought up for my challenges! I feel a bit better now. If someone who reads like 300 books a year doesn't finish challenges, then I know I'm OK too. I went a little crazy this year, but there were just some I couldn't ignore, like your GN Challenge. The good news is that I don't think you will fine me if I don't finish! But I promise to try real hard! Happy reading in 2010 - you did great; really you did! You've picked some great ones with a beautiful collection of buttons! I've only signed up for 2...I can't keep up with you challenge addicts! Being new to this blogging world, I've already read/seen a lot about these challenges. They sound great, but also kinda overwhelming! I'm not quite ready to join one yet, but in due time I'm sure I will. Good luck with the ones you've joined! Joining challenges is yet another addiction I think. I've already joined way more than I should have this year but I'm also vowing to do better with them this year. I've picked lower levels to accomplish this year and I think that'll help some. It looks like you've joined some good ones so good luck with them! Challenges can be such fun, can't they? Even when you aren't able to finish them. I wish you the best with your challenges this coming year. I hope you will have lots of fun and read many terrific books. I love the idea of these, but I can't keep track of everything. I also do better when my reading is more free-form... that said, I do enjoy the Once Upon A Time and RIP challenges! I just take it as a cue to read a bunch of fairy tales or a bunch of scary books. No problem! :) But I'll look forward to your reviews of all these! Consider ours extended and not failed :) Glad you signed up for the Manga Challenge. Looking forward to seeing what you read. I must finish Death Note as well. I'm super excited about the challenges I joined this year :D I was more picky this year than I normally am and only joined a few. I'm doing the GLBT challenge, the Women unbound, and of COURSE our GN challenge...oh, and the 2010 challenge that Darren's hosting because I like different categories because I'm a nerd :p I really should join the science challenge too! I have that incredible book that Rich sent me and I really want to read the Origin of Species GN, and I havea Mary Roach book that I want to read...hmm...yes, I should definitely join that one. Ok, I will!! I'm not a challenge fan, Nymeth, but I'd like to wish you all the best on yours and a Happy New Year as well (I stop by here from time to time to see what you've been reading, but I don't think I've ever introduced myself before). Anyway, hope you have a great reading year ahead of you and obrigado for your post on Portuguese literature a while back, which was quite interesting. Cheers! My first year of reading challenges... and I`m failing terribly. I don`t think I will finish most of the challenges in time this year. But, on the bright side, read many books that I may not have read if not for the challenges! I said I was cutting myself off for challenges, but now I see a couple more I want to join. I, too, am joining at low levels, but I worry a little bit about becoming too goal-oriented and not enough enjoyment-oriented. Parasite Rex is a fascinating read, by the way. I'm glad to see somebody else doing the Science Book Challenge. Enjoy your challenges! Fun is the important part. :) I forgot to post about the read-along! I must do so! That's a lot of challenges! We don't have any challenges in common - I think yours are more serious than mine. Good luck! Wishing you lots of fun in your challenges. I am still contemplating a few more so we'll see how overboard on challenges I go next year. Ha. The Victorian Challenge has really called out to me this year. 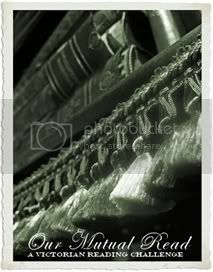 I realised that I would never have got into reading Victorian novels, if it hadn't been for you and your blog. So thank you for sharing your love of that era and making me a huge fan. I love how organized you are about your reading. Happy New Year! I failed the Gaiman challenge as well! STILL haven't made my own list-post ... happy New Year! I'm swearing off challenges in 2010 and living vicariously through those that can't! I laughed out loud when you said there are no challenge police. Funny how we all feel guilty when we don't complete a challenge! lol...I have a love/hate relationship with reading challenges too :)cant live with them, can't live without them lol. No worries! It's all about making the lists anyway. Wow! My challenge list is just as long as yours. Good luck with all your challenges. It's great to welcome you back for another great year of the science-book challenge. 2009 had great participation, but of course I'd like to see still more for 2010. I'm still catching up on 2009 administration but I've gotten your name added now to the 2010 challenge list (linked in my name). Now, what about the rest of your commenters? I think your Post of Doom title says it all. I have a similar love/hate relationship. I'm glad I am not a one member club. LOL...Good luck this year. You definitely joined more than me! I think I only joined five or so. Good luck and happy reading! I didn't complete all my challenges for 2009 either, but I plan to keep going with them even if it's past the end date. To me it's about reading moreso than success or failure. I haven't gotten a list of 2010 challenges posted yet ... but I am soooo excited for the Graphic Novels challenge and for Kailana's L'Engle read-a-long! !